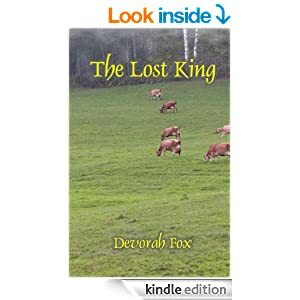 Happy birthday, King Bewilliam, officially “born” on Dec. 14, 2011 with the publication of the high fantasy The Lost King. The story was inspired by a friend’s real life crisis, a complete personal and professional derailment. I wanted to see if I couldn’t craft a happy ending. That turned out to be harder than I thought. Even the strongest among us doesn’t bounce right back from such stunning losses. While he scored some successes, King Bewilliam continued to struggle to reclaim his life which led to The King’s Ransom and The King’s Redress. King Bewilliam may regain his throne but his life will never be what it once was. His only choice? To redefine himself, find new motivations, new passions, new validations. He continues to rediscover himself. Last month I began The Redoubt, Book Four, in which he dares to contemplate happiness he thought was lost to him. 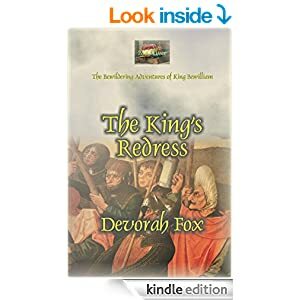 To celebrate and give you a chance to enjoy the series at a bargain price, today the Kindle edition of Book Three, The King’s Redress, is available for 99¢ on Kindle US and Kindle UK. The king’s subjects will be making merry all week throughout the kingdom so check back to see what else we have in store to commemorate this anniversary. This entry was posted in arts&crafts, events, read and tagged arts&crafts, events, read. Bookmark the permalink.